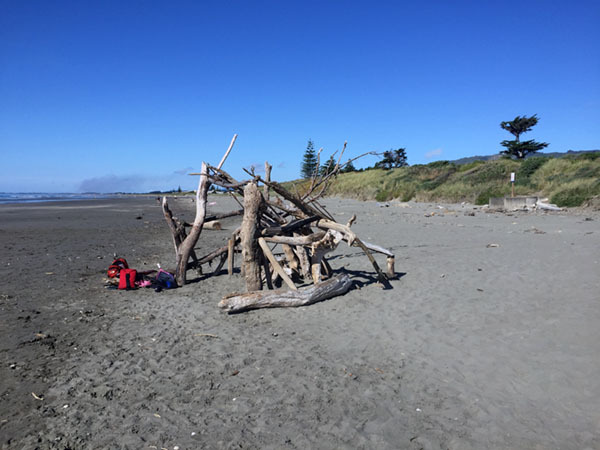 Jordan from the blog Tiki Touring Kiwi shares A Big Day Out in Waikanae Beach New Zealand, and his hometown favorites. Waikanae Beach New Zealand is the town where I grew up. A vivid memory of my hometown is doing flips on the beach with friends; then running into the ocean just before the the clock clicked over to the new millennium in the year 2000. As I got older, Waikanae garnered the reputation as a glorified retirement village. It’s true, there are plenty of retirement complexes, however there are lots of things to do for all ages here. Here is my ‘perfect day’ in Waikanae Beach, a place I appreciate a lot more now. The estuary is a peaceful little area and a good spot to start your day. 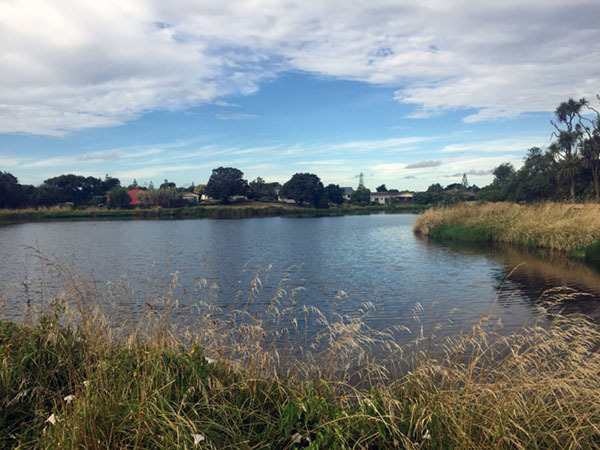 The afternoon sea breeze won’t have arrived and you can spend an hour walking around the lagoons and riverfront catching views of Kapiti Island and seeing various birds waking up for the day. 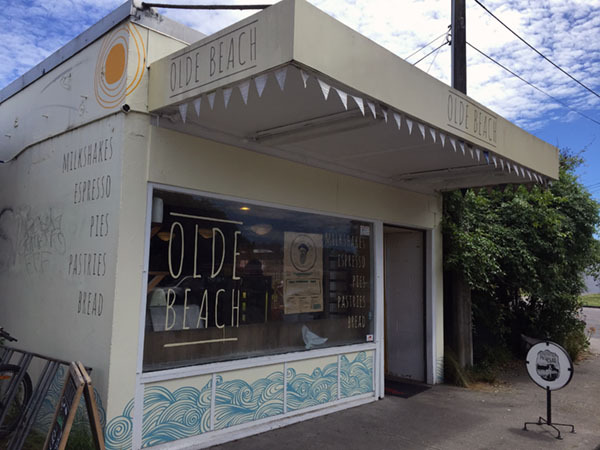 Waikanae Beach is definitely getting a hipster vibe to it (in a good way). It’s a bustling spot and has a selection of outdoor seating where you can choose some of their freshly baked treats; and coffee, of course. The Waikanae Golf Course is located minutes away from the beach and is a course suitable for all abilities. You normally won’t need to book in advance, just give them a call to book your tee time. Alternatively, you can head out fishing for a few hours, (if you have access to a boat). Between the mainland and Kapiti Island, you will be targeting snapper and gurnard and blue cod near the Island Tarakihi. You’ll inadvertently catch a variety of other bits and pieces too. Regardless of whether you choose fishing or golf, you deserved some beach time. Choose any spot along Waikanae Beach, throw down a towel, work on the tan, take a dip, build sandcastles, go for a stroll, play some beach cricket, or throw around a Frisbee. The beach will keep everyone happy for a couple hours. Make sure you grab some fish ’n’ chips from a local vendor for a quick bite to eat when you arrive. Given you’re spending the day in Waikanae Beach, dinner at Waimea Restaurant along the beachfront only makes sense. If you let the big one get away earlier in the day, order some fresh seafood to go. Otherwise, the pizzas are always a winner and hopefully you have enough room left over for dessert. Remember to order a bottle of New Zealand wine. 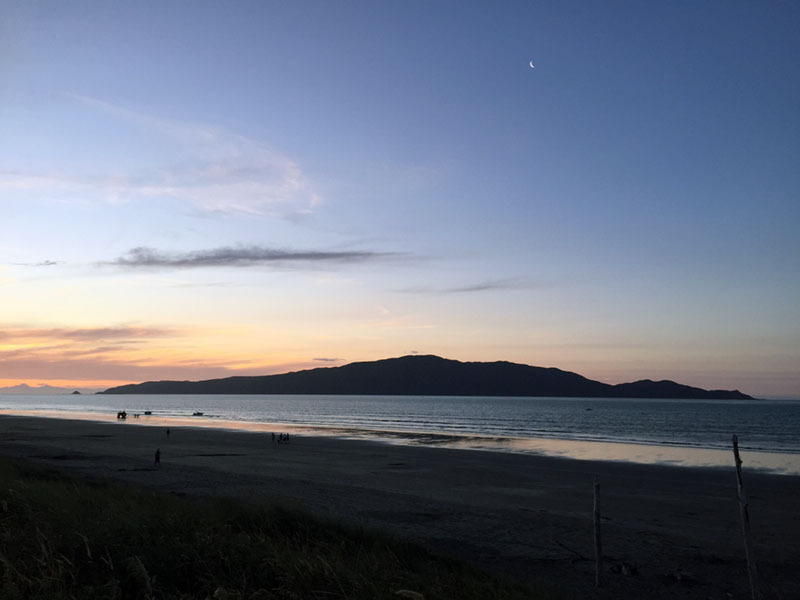 Kapiti Island makes for the perfect backdrop as the sun sets for the day. 20 minutes before the sunset is due pay your bill and take a stroll along the beach. Don’t forget to look up as the sky changes colour. The sunsets at Waikanae Beach are always spectacular. Bring your camera! After your day at the beach, it’s time to head back to your kiwi bach (your holiday beach house). Beach houses and holiday rentals are located just a couple minutes away from the beach. Enjoy the sunset as you talk about your awesome day in New Zealand’s 2015 winner of the Best Large Town Award. Vacationer Beware: This is assuming it’s a sunny day in Waikanae Beach! About Jordan: Since finishing University in 2010, Jub has spent the large majority of his time living and traveling overseas. His passion for travel is massive, yet it’s the lessons learned you can’t put a monetary value on. Such as his appreciation for his home town, Waikanae and learning about self awareness and trying to be a nice person around the clock. 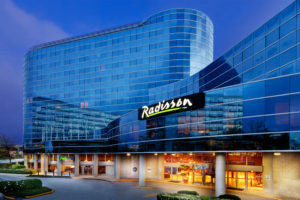 Ready to retire and travel? Check out these ebooks: Sell your business, sell your stuff, get out there and experience the world!